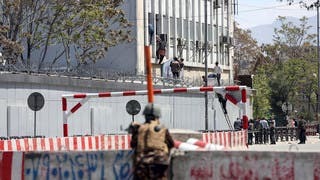 Libyan pro-government forces said Monday they had targeted a weapons depot belonging to an Islamist-backed militia, as peace talks continued in Morocco. A militia spokesman said however that the raid had hit a refugee camp, killing eight civilians. 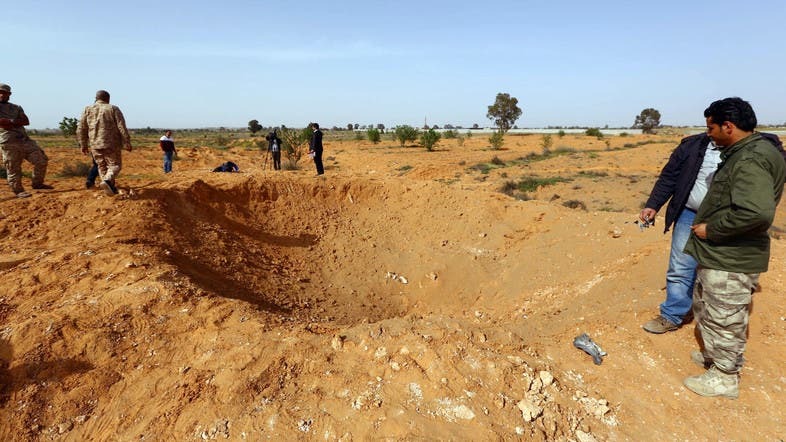 Military spokesman Colonel Ahmed al-Mesmari said “the air strike targeted a weapons storage facility belonging to Libya Dawn” in Tarhuna, some 80 kilometers (50 miles) southeast of Tripoli. Libya Dawn is a militia alliance that includes Islamists and has installed a rival government and legislature in opposition to the country’s internationally recognized government. A spokesman for the group denied any of its weapons were in the area. “Eight Libyan civilians died in the strike. Sadly this is their strategy, to kill civilians and claim to the international community that they are after weapons,” he said, referring to the Western-backed government. Mesmari said that after the air raid members of Libya Dawn attacked the house of a military officer and “killed his wife, his daughter, his son, his brother and other people who were there” in retaliation. The Islamist group denied the claim. Mesmari meanwhile told AFP that pro-government forces had shot down a Libya Dawn plane at Ar-Rajban, some 170 kilometers (105 miles) southwest of Tripoli. The Libya TV channel reported that pro-government forces had captured one of the pilots and another had died at the scene. Libya has been in turmoil since the overthrow of Mummar Qaddafi in 2011 by rebels backed by NATO air strikes. Libya has had two governments and parliaments since Tripoli was seized in August 2014 by Libya Dawn and the internationally recognized government fled to the country’s far east. U.N.-backed efforts to reconcile the two sides have so far failed, but U.N. special envoy Bernardino Leon said Monday he hoped for progress at ongoing talks in Morocco. The first names for a new Libyan unity government could emerge this week, Leon said. “It is going to be a difficult discussion and I wouldn’t like expectations to be too high, bearing in mind how difficult the situation is on the ground. But there is a possibility and we will do our best to reach there by the end of this week,” he said in Brussels. On Friday the internationally recognized cabinet based in the eastern city of Tobruk said loyalist forces had launched an offensive to “liberate” Tripoli. The Tripoli parliament’s delegation threatened to walk out of the peace talks in the Moroccan resort of Skhirat when the fighting erupted at the end of last week.